Footlocks in Jiu-Jitsu seem (still) to get a bad rap. In other similar grappling arts like Sambo or Catch Wrestling, they occupy an important place. 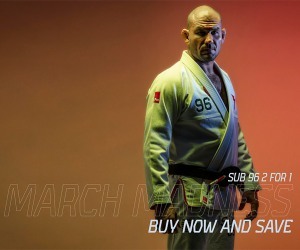 In recent years a new school of Jiu-Jitsu players have started to perfect the leg lock game (Garry Tonon or Eddie Cummings in No Gi and Luis Panza, Cavaca in Gi) but they are still not developed so much in Jiu-Jitsu and many people still see them as cheap, low class moves or are frowned upon because of high risk of injury (especially heel hooks) . Why would that be? 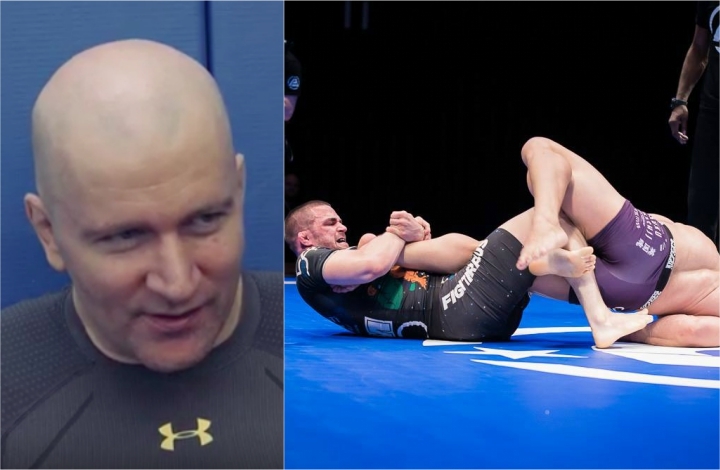 John Danaher, BJJ black belt under Renzo Gracie, known as one of the best BJJ instructors in the world shares his thoughts on his leg lock system, and how he built his ‘Danaher Death Squad’ around them. The New Zealand born black belt has been praised by the BJJ community as being a master and brain of the art. 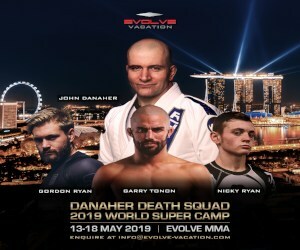 Danaher is a highly intelligent individual, who has a Master degree in philosophy from Columbia University, and is totally focused on the evolution and improvement of Jiu-Jitsu. 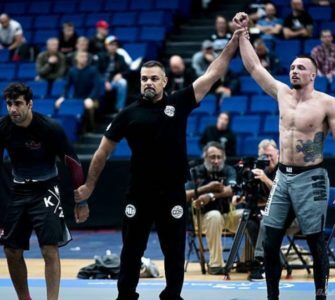 He is also the submission coach of none other than former UFC Welterweight Champion George Saint Pierre, Travis Stevens, Garry Tonon, Eddie Cummings and Gordon Ryan. Danaher trains and teaches Jiu jitsu at Renzo Gracie’s Academy in New York. The development of my leg lock system: Many people ask me about the development of the leg lock system that Gordon Ryan, Eddie Cummings and Garry Tonon have used with so much success in competition. When I started jiu jitsu in the early-mid 1990’s, leg locks were largely dismissed in the jiu jitsu community, even though the rules of the sport actually permitted more variation in leg lock attacks than sport sambo does. The reasons given for this dismissal of leg locking were strange and even self contradictory. Leg locks it was claimed, were ineffective, yet at the same time, too dangerous to be trained safely. They would prevent students from learning to pass guard, even though many leg locks could be applied from positions that had nothing to do with guard passing. People were constantly warned that if a leg lock failed, the result would be a loss of top position that could be disastrous – even though exactly the same logic could be applied to many armlocks and strangles. Leg locks were even dismissed as cowardly, a form of cheap shot in the noble art of jiu jitsu – even though no other form of submission suffered from this perception, a very odd perception, given that the whole purpose of the sport was to submit people. When on top, seek to take your opponent down to make control easier, then get past his legs to lessen his ability to attack you from underneath or get back to his feet. Work your way though a hierarchy of pins, each one offering better and better opportunity to control your opponent as you strike him on the ground. When you have reached the zenith of the hierarchy, submit him. If on bottom, recover to a position where you can use your legs (guard) to control an opponent and submit him if he makes a mistake and exposes himself, or sweep him to get on top and apply the above formula. Where do leg locks fit into that system? 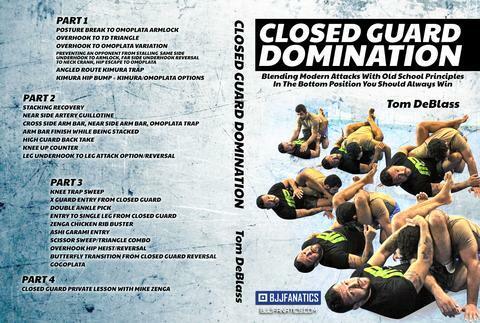 The answer is also simple – leg locks are to be used when the system fails. If you can’t get the system to work on a difficult opponent, try a leg lock, perhaps that will catch him by surprise and gain you victory. That is why they were seen as cheap shots – they were an admission that you could not beat your opponent within the system, so you went outside it. To use a leg lock was to admit a failure in your ability to apply the system of jiu jitsu. As such, they were to be seen as desperation moves to be pulled out of the hat when nothing else was working. This was the status of leg locks when I entered the sport. There was so much to learn as a white and blue belt that I was not bothered initially by this imbalance of upper body submissions over lower body and the general dismissal of leg attacks. As I spent more time in the sport, however, I observed the efficiency of leg locking through the work of professional fighters such as Rumina Sato among others. Also distinguished visitors to the academy brought with them different styles and methods. One of them was a young Dean Lister who had some early success in grappling competition with leg locks. His leg lock game was still in development at that stage- mostly based around Achilles locks rather than the advanced heel hook game he would later develop and become famous for. Mr Lister encouraged me to add study of leg locks to my game. Thankfully my teacher, Renzo Gracie, was very open minded and never prohibited the study and use of leg locks in the gym. Accordingly I began to earnestly study the people most associated with leg locking skill. 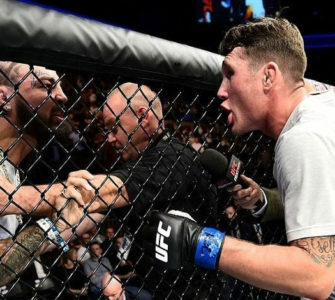 They had some impressive elements to their game, but also many deficiencies – as evidenced by the fact that few grappling or MMA matches of that time were decided by leg lock. Training in the gym showed me that leg locks had considerable potential, but the manner in which they were standardly taught at the time made them rather easy to defend. I began an intense study of the foundation of the most high percentage leg locks – ashi garami. I developed many variations of this position that interlocked with each other in dynamic situations under the assumption that an opponent knew the main methods of escape from the standard position. As months turned into years, I arrived at a sophisticated system of leg and hip controls based around ashi garami that I used with considerable success in the gym. None of my students at that time chose to compete (sometimes I wonder if my own decision never to compete influenced them in this regard). I was known only through my coaching of MMA fighters, where the circumstances and emphasis were very different. When my focus on MMA diminished due to the encroaching retirement of Georges St-Pierre and less involvement with Chris Weidman after he moved further out into Long Island and opened his own school, I began to focus more on pure grappling competition. I had the immensely good fortune to meet Eddie Cummings, Garry Tonon and Gordon Ryan. 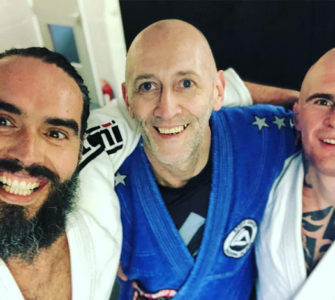 These three were definitely interested in competition and unlike my MMA students, lived in the area so they could train twice a day seven days a week year round. I immediately put them on a development program that was heavy in submissions and in particular leg locks. Such gifted and hard working students quickly learned the main concepts and gained greatly in confidence with early successes in local competition. Soon they developed a very unique style that had people talking and they were pushed into higher levels of competition. A fascinated jiu jitsu community could see that there was something new being done here – these were not desperation attacks done when nothing else was working; nor did they rely upon the naivety of the opponent to succeed – opponents could know what was happening, know the standard counters, and still be crushed from any position. For the first time, people were watching a control based leg lock game, rather than an opportunistic or desperation based one. It had its own positional hierarchy, just like conventional jiu jitsu, only in an area that had been ignored for decades. Like most new ideas, the leg lock system has its detractors, it’s false prophets and its advocates. The clash between these distracts people from the real value of this change – that a significant advance towards the ideal of jiu jitsu – control that leads to submission – has been made. It can help many students towards that ideal, as it did mine. That does not mean I want everyone to drop what they are doing and immerse themselves in leg locks – most of the current world champions use them sparingly and they do very well without them. Many people prefer the traditional approach and have excellent reasons for doing so. However, this new direction does offer very interesting possibilities that align well with the basic philosophy of our beloved sport and which can be of immense benefit to motivated students who enjoy the new directions it offers. Here, Eddie Cummings displays fine form with a very destructive heel hook from a variation of ashi garami on his Russian opponent at the ADCC world championships, earning honors for the fastest submission of the tournament.